There’s nothing like the aroma of piping hot of old-fashioned skillet cornbread, straight out of the oven. Growing up in the Midwest, I had honestly never had cornbread. I don’t think I had even ever had hushpuppies. But shortly after leaving home, I had my first taste of it in basic training in the army. I was in love. To me, the flavor of cornbread immediately became synonymous with down-home, wholesome goodness. It’s for that very reason that I used the word cornbread in the name of my website. Skillet cornbread is so simple and basic to make, our family enjoys it with many meals from soups to soup beans. Preheat your oven to 375 degrees. Place your 6 inch cast iron skillet in the oven to get nice and hot while you prepare the batter. 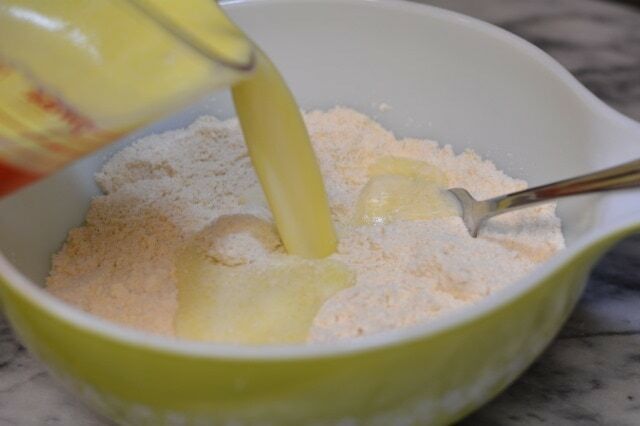 In a mixing bowl, combine 1 cup all-purpose flour, 1 cup cornmeal (white or yellow), 1/4 c sugar, 4 teaspoons baking powder and 3/4 teaspoon salt. 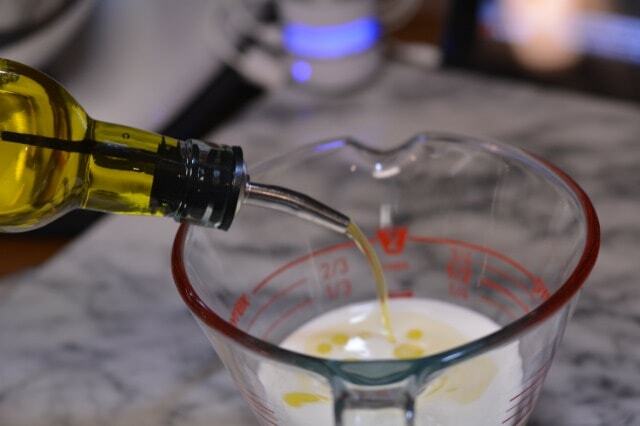 In a large measuring cup (or a bowl) combine 1 cup milk, 1/4 c extra virgin olive oil. and then 2 eggs. Give those a whisking. Stir with a fork or whisk until just combined. Take your hot skillet out of the oven and spread a tablespoon of butter all over the inside of it. Pour & spread the the batter into the skillet. To begin, preheat your oven to 375 degrees. Place your 6 inch skillet into the oven to heat while you prepare the batter. 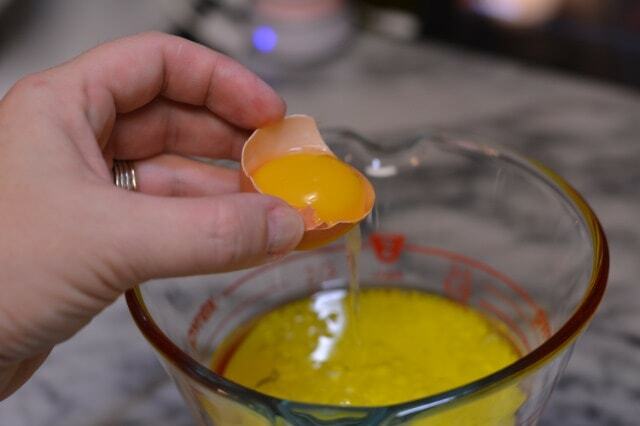 In a separate dish, whisk the eggs, milk and oil together. Add the liquid to the dry ingredients and stir with a fork or whisk until just combined. Remove you hot skillet from the oven and spread a tablespoon of butter all inside the skillet. 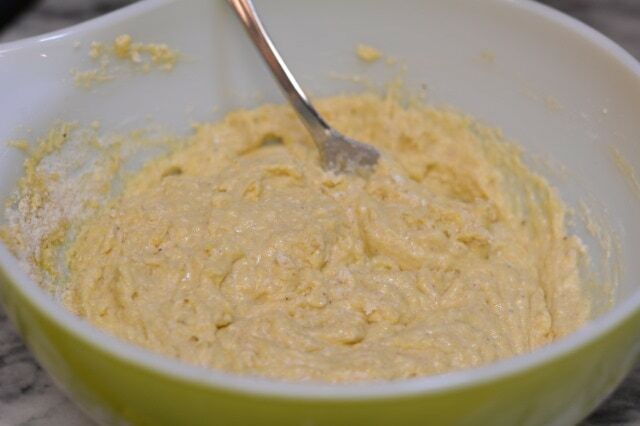 Pour in your batter and spread it fairly level. Bake 20-25 minutes, until golden brown, and a toothpick inserted into the center comes out clean. If you do not have a small cast iron skillet, you can bake this in an 8 inch square baking pan. 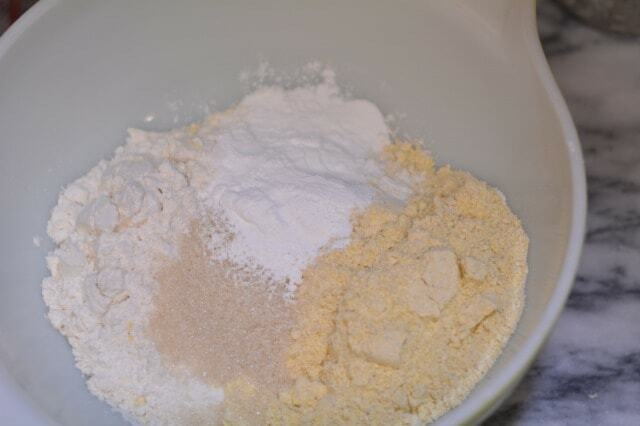 The cornbread will likely bake for a shorter period of time, so check it around 15-20 minutes. I just made it today, and I added some onion powder, garlic powder, hot pepper seeds, grated fresh cheese, I used buttermilk when I have it….and I always add a good Tbsp, or more of melted butter to the batter….the more the better :)and I only use one egg……I remember growing up and our mom and grandma both did not use eggs or buttermilk in their cornbread….just used bacon grease…..which gave it a great flavor…..but I no longer use bacon grease..I fry bacon and pitch the grease….sometimes I will crumble some bacon in the batter or either use the real bacon bits you buy in a jar….that is good too. (they say the bacon grease is artery clogging and I don’t need that…..:) cornbread and chili is great, that is what I just ate…..
I’ve got this in the oven right now and I have to tell you there is no way this would fit in my 6-inch skillet. I don’t know if yours is very deep or you meant 8 inch, because that it what I am using and it is filled almost to the brim. I bought a turkey breast and thought I’d try my hand at some home made cornbread stuffing instead of the usual Pepperidge Farm. My cornbread recipe calls for buttermilk, which I don’t have, so I’m going to give this one a try. ? Southern cornbread, bless your heart, has no sugar.